That is the worst Photoshop i have yet to see. ^^Stupid. 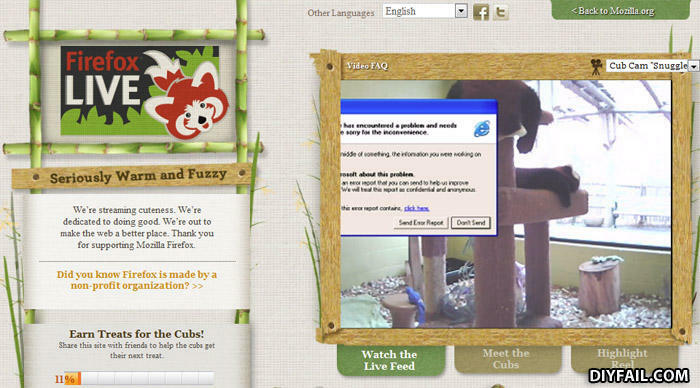 If you actually looked at the website, you'd see that it says "Cat Webcam" and an error message is in the video, that means they were using a SCREEN RECORDER for the "webcam". God some of you have the intelligence of a traffic cone. Umm... Yes I am using Firefox but it is cleverly disguised as Internet Explorer. If you have firefox why are you using I. E ?